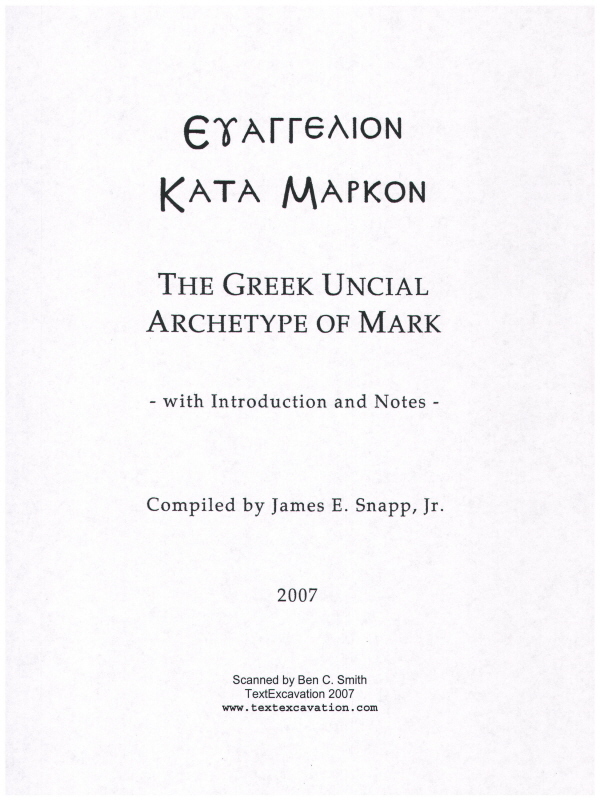 The following scans are .jpg images of a textual reconstruction of Mark put together by Jim Snapp II. Click on a reference range to load the image of your choice. Title page and introduction, pages 1, 2, 3, 4, 5, 6, 7, 8.